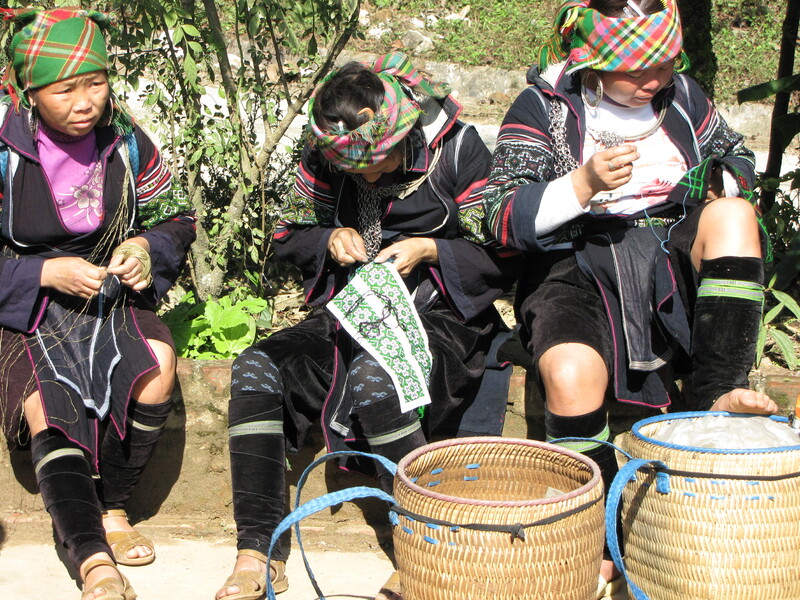 I had seen the process for shining indigo-dyed cloth in books, and was delighted to see it for real near Sapa. 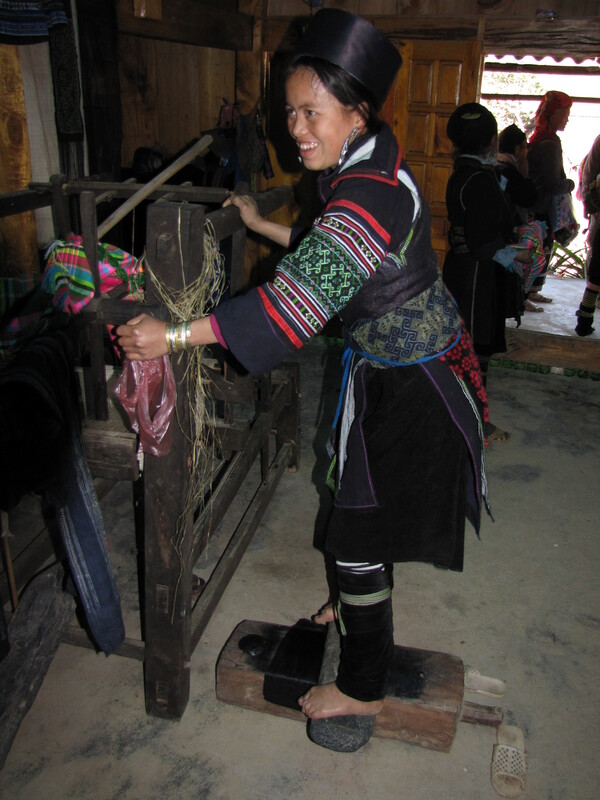 The cloth is laid across the block of wood, rubbed with what I think is wax mixed with indigo, the stone placed on top, which is rubbed back and forth with the feet in an impressive display of balance. Exactly what is rubbed on the cloth is something I will need to confirm, as the language difference produced answers including “stone” and “honey”, but when I came across some for sale in a market in Laos weeks later, I was told it was wax mixed with indigo, and it does feel like wax. 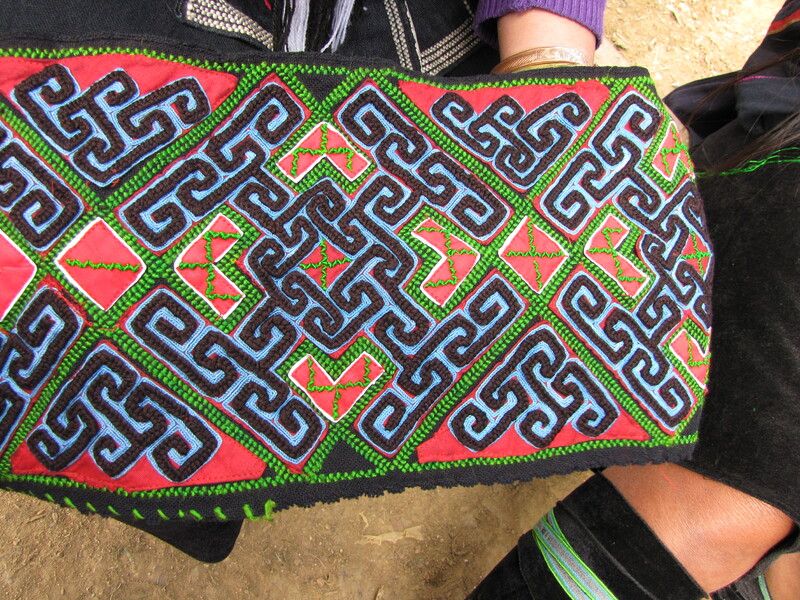 I was told that Black Hmong people freshen the shine on their clothes in this manner every Hmong New Year. 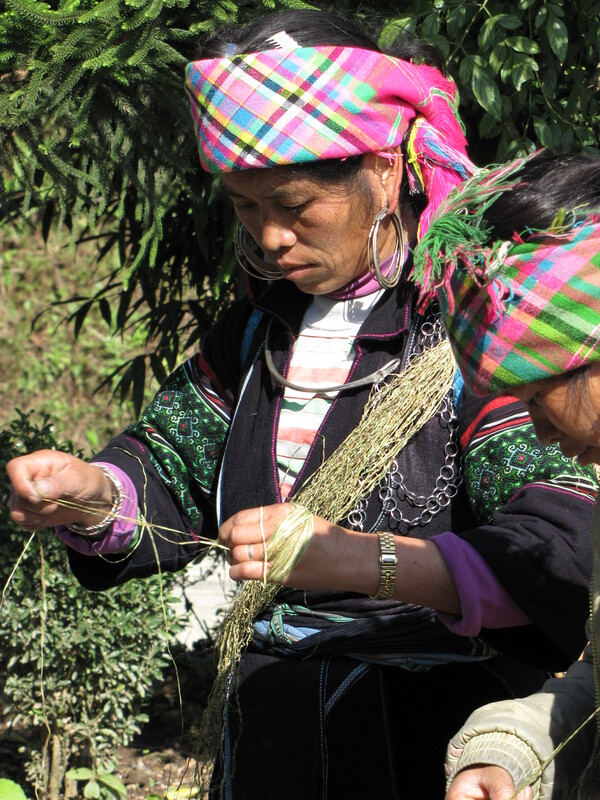 Near Sapa, the Black Hmong women lose no opportunity to tag along with tourists in the hope of selling, but they don’t waste a moment waiting around for them, bringing along portable textile tasks such as softening hemp and embroidery. 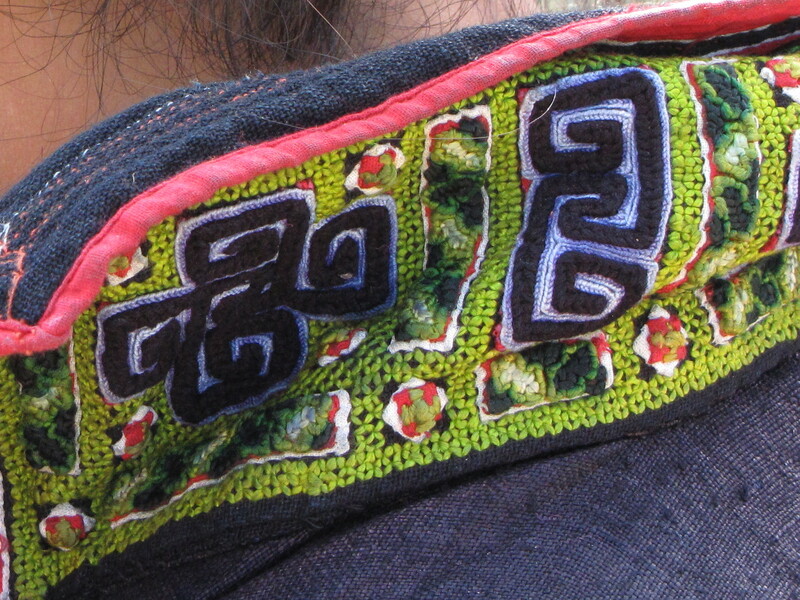 This entry was posted in Black Hmong Techniques and tagged Asia, Black Hmong, embroidery, hemp, indigo, Sapa, Textile, Vietnam by Wendy Garrity. Bookmark the permalink. Hiya, I’m really glad I’ve found this information. Today bloggers publish only about gossips and web and this really is truly irritating. A good website with exciting content material, this really is what I need. Thanks for maintaining this web-site, I will be going to it. Do you do newsletters? Cannot find it.